My friend Mitch and I have been meaning to pay Todd English Food Hall a visit after hearing so much rave about it after opening a branch in Manila. 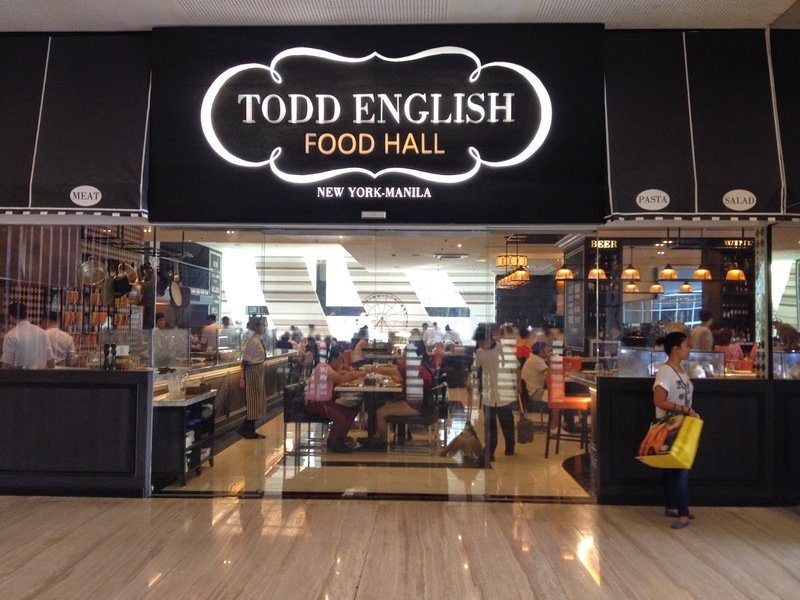 Yes, there are only 2 branches of Todd English Food Hall on Earth and one is in Manila (the other is in New York). We came on a Sunday, in the middle of the stinkin' hot afternoon but the place was packed. While waiting to be seated, the maitre d' asked us if we were willing to be seated in the bar station to which we politely declined. The bar was okay but we didn't feel like sitting there on our first visit. I read from the internet that Todd English Food Hall boasts of offering only the finest, freshest, and gourmet foods. The interior of the food hall was styled to look like an upscale version of European food courts, an exact replica of the one in New York. It was really spacious! Inside are nine food stations to choose from: Pasta, Asian, Pizza, Grill, Salad, Charcutterie, Raw, Carving and Dessert. Pasta Bar. Where the freshest pasta are made everyday. This ferris wheel loaded with macarons momentarily steals your attention. The continuous motion is hypnotizing! By the way, that Stormtrooper alarm clock Mitch is holding is her gift to me. I'm so happy because she unselfishly parted ways with it and have given it to me. I super LOVE it! Asada Steak with Pear Salsa (on soft tacos). Gone in 5 seconds. T.E. Slider. Very tender, tendon-free, bite-size burger. This was absolutely good! I lingered so gone in 5 minutes. T.E. Half Chicken. Again, this one's really, really tender it almost melts in your mouth. Chicken on a bed of mango sauce works! And for finale, the star of the whole Todd English Food Hall experience - the OMG Chocolate Cake. They weren't kidding when they named this dessert (that wasn't on the menu) OMG Chocolate Cake 'cos that's exactly what you're gonna utter after a bite into it. Napa-OMG din kami sa presyo haha. But yes, it's worth it! 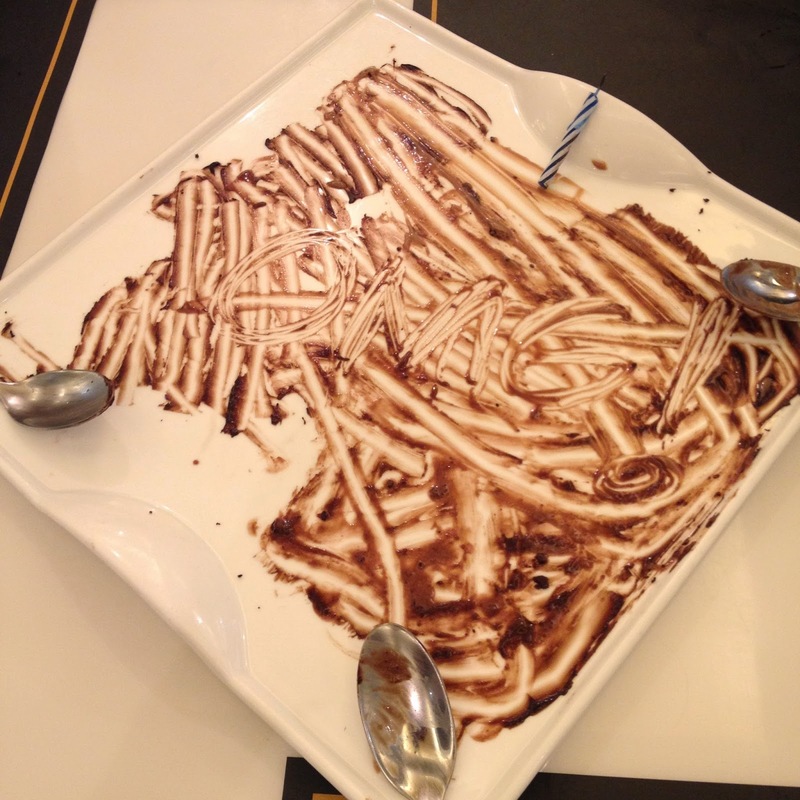 I suggest though to bring someone you can share it with kasi overkill naman if you finish it all on your own. The Cheese, Mitch and I shared one OMG chocolate cake among us and it was a satisfying experience for us three. On our way out, I had to take a snap of this ham leg. It's the first thing you will see when you come in. No make that second, I purposely searched for the ferris wheel first pala! 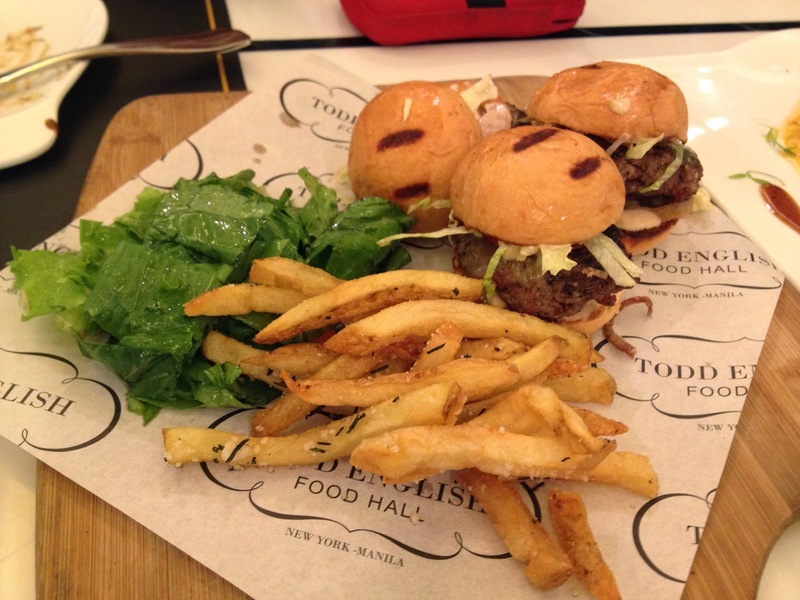 All in all, our first Todd English Food Hall experience did not disappoint. It was one of the best gastronomic experiences I've ever had. Everything was just so good and it's not an exaggeration. Prices are also reasonable especially if you come in group because you get to try various dishes at once. I/We will certainly be back to try their flatbreads, pastas, and dumplings.